Lauren and Mark are such incredible humans, ever since the first meeting I had with them I was smitten. They got engaged on a long weekend trip to Austin, TX, Mark asked Lauren to marry him while they were at the wildflower gardens outside the city surrounded by bluebonnets, seriously, GAH!!! They are both graphic designers (Lauren is the one who did all of my new branding!!) Needless to say they are insanely talented! 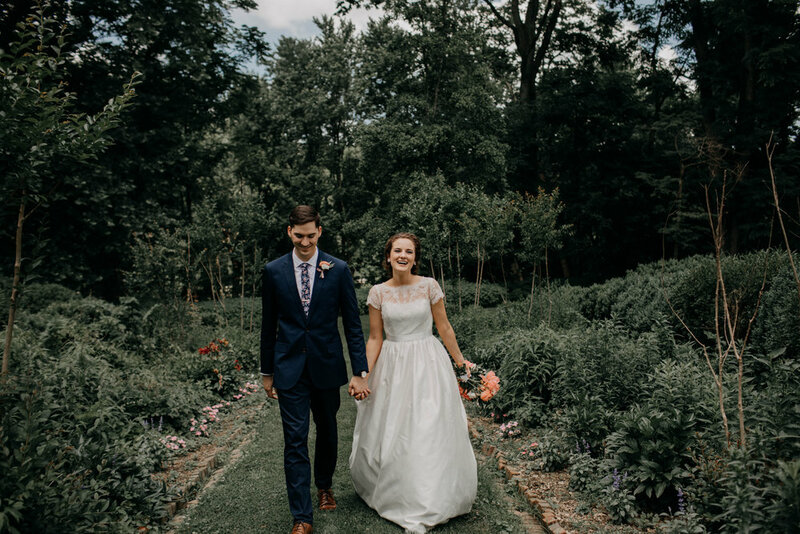 Their wedding was held on a hot summer morning at the Liberty Hall Historic Site in the heart of Frankfort, Kentucky. It was PERFECT! They did a first look hidden in the gardens, there were tears and it was beautiful. Lauren and Mark’s day was filled with such wonderful little meaningful details, Lauren’s veil was hand embroidered by Mark’s mom, he’s mom also embroidered a handkerchief with their names and wedding date on it heart melts, Marks wedding band was his Great Grandfather’s wedding ring, the list could honestly go on for miles, but those are a few of my favorite details from their day! The wedding itself was insanely touching and fit them perfectly. Since it was a brunch wedding, you best believe they had brunch food - their wedding cake was even made using crepes, uh yeah, just as delicious as it sounds! All of the graphics for their wedding they did themselves, can we talk about how cool their matching jean jackets are?! I’d get married again to get my hands on one of those!! 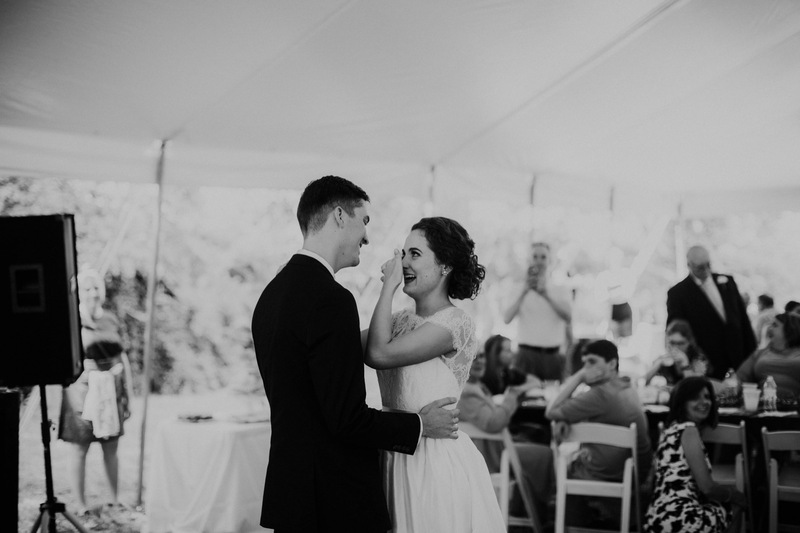 ALSO, Lauren’s dress is from one of my favorite bridal gown shops in Columbus - LUXEredux! BOOYAAA!! !